You are at:Home»RECAPS»BIG BROTHER»Big Brother 17»NYC Big Brother & Survivor Fundraiser Live Stream! NYC Big Brother & Survivor Fundraiser Live Stream! This is our show with Andrea Boehlke & Meg Maley with all the details about the NYC Big Brother & Survivor Charity event on 1/30/16. We are also happy to announce that we are the OFFICIAL LIVE STREAMERS for the event. So if you cant make it you can watch it live HERE. DON’T FORGET… comment below and let us know what you think! And if you have that “live feed money” burning a hole in your pocket… consider supporting all our free content by becoming a Patreon so we can keep bringing it all to you! You get access to a special Facebook group, and patreon only shows! More info on that and how to support us is below. BB17 MAY BE OVER… BUT HERE’S WHAT YOU NEED TO KNOW: If you missed the show live then head over to YouNow and BECOME A FAN so you don’t miss us LIVE! 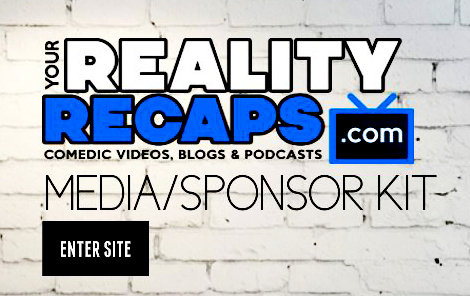 And of course if you missed something from this season head over to our BIG BROTHER 17 page to catch all our our blogs, video recaps, comedic mashup and cast interviews! We talked to EVERYONE from this big brother season! And if you did’t know, the live feeds are available until the start of BB18! So check out our BIG BROTHER 17 FLASHBACK TIMES LIST for all the “must see moments” from this season! Finally, our BIG BROTHER SPOILERS PAGE is full of “Cheat Sheets” for you to refresh your memory on alliances and other important info from the season! Still want more check out our forums. They are a great place for you to meet up with friends. You can also get special prizes and all the latest info by subscribing to our monthly newsletter (WE WON’T SPAM YOU) when you sign up for our forums. Its easy and free (just two simple steps) by clicking the little man all the way on the right of the menu bar (or in the sidebar on our forums page). Just make sure you click to subscribe to newsletter when signing up for the forums! Of course can do all of this for you because of your generous support. Did you like all our content? Then PLEASE help us keep doing it! The best way to do that is to become a Patreon! Our patreons are what keep our site up and running. You simply pick a month amount you want to donate (even $1.00 help) and that’s it! Plus Patreons get access to a SPECIAL PATREON ONLY FACEBOOK GROUP & PATREON ONLY SHOWS! If you’d rather just do a one time donation you can use PAYPAL instead. We appreciate ANY financial support you can give. Like online shopping? The use our Amazon link in the sidebar to start your shopping with them (you don’t pay any more and we get a little back). Or if you are interest in any of the ads in the side bar to the right check those out too. Of course we get it, money can be tight… so if you’d like to help us for free then be sure to subscribe to our shows in YouTube, iTunes, and thumbs up and give us a nice review (we want to win a podcast award this year). Also following us on your favorite social media site (by clicking the icons in the side bar) and then sharing our content there is also a great way to help as well! We can’t thank you enough for enjoying our shows these last 5 years, hopefully with your support we can continue to do them for you. We can’t thank you enough for all your support! We love you all! SPECIAL FAN SHOW: Eating Gross Stuff!